Speed is important in submission of claims, and is only part of the process. Having funds deposited into the practice’s account converts those pending revenues into real assets that can be applied as needed. Electronic Payment Remittance allows insurance and/or patient payments to be posted directly into a patient’s financial record. The payments can come from any insurance company or clearinghouse that remits electronically or from other approved vendors in the case of patient payments. Posts both the payment and the applicable write-off/adjustment. Checks “allowed” amounts in the fee schedule to assure proper reimbursement. Allows the operator to make the proper corrections. Complete audit trail of all transactions is maintained. 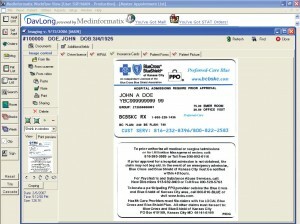 Allows practice management related images and documents to be stored separately from clinical images. 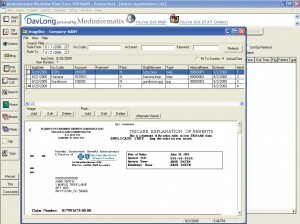 This unique feature eliminates the need to give practice management users access to the clinical document repository. 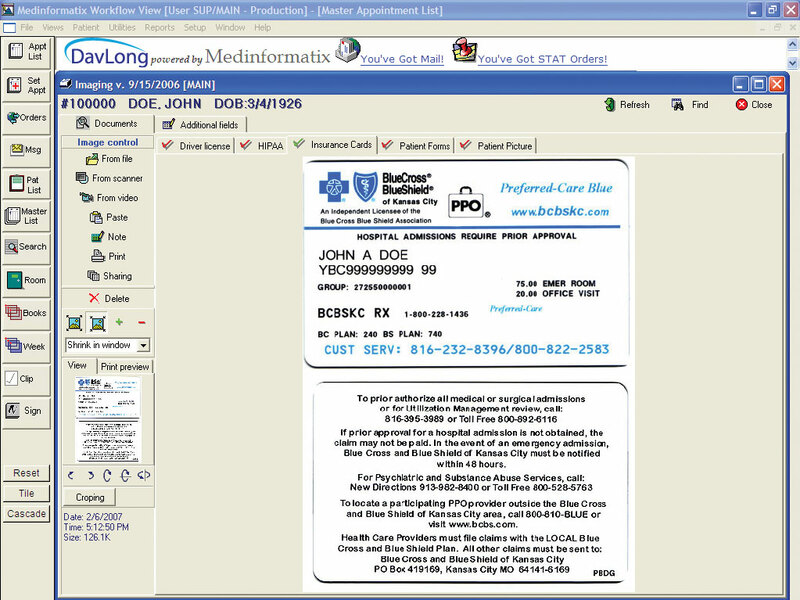 Accessed through the demographic screen, front desk images are separated into practice defined tabs, so it is easy for an operator to locate the image or document they are looking for. Red and green checks on each tab quickly identify to the operator if documentation exists or needs to be captured. Commonly referred to as a “Code Scrubber”, this fully integrated module checks over 2.8 million national insurance edits before the claim is generated. Driven by a powerful database from Unicore, virtually 100% of your claims can be transmitted without error the first time (from a clinical standpoint). 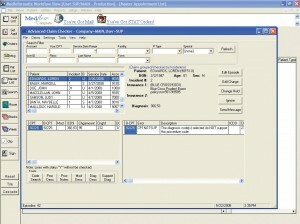 Making sure your patients comply with physician follow-up orders is easily organized and tracked with our Recall System. 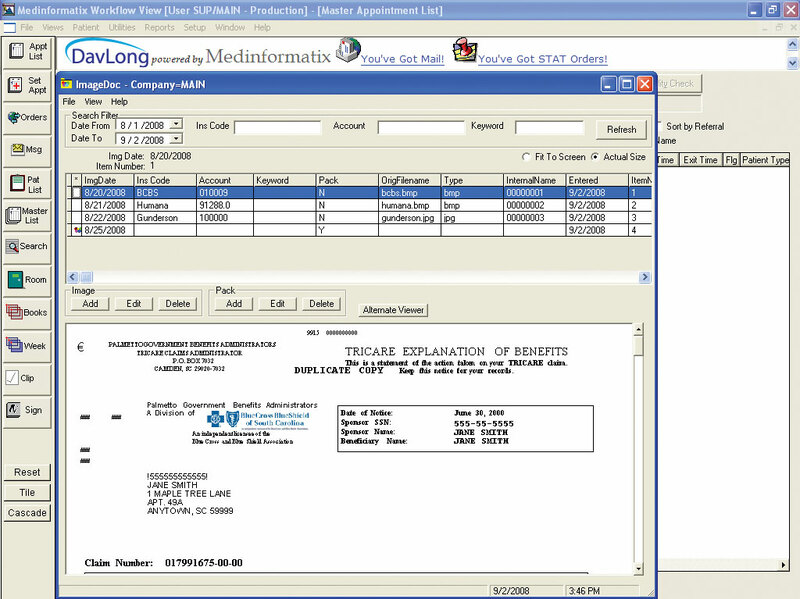 Patient notices can be automatically generated to various media, based on the type of recall ordered. Notices can be printed inhouse, sent to a printing service, i.e. 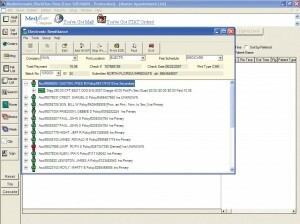 ExpressBill, sent to our Telephonic Reminder System, or sent via our online patient portal. Practices can also create custom protocols as to how recalls are handled based on problem or recall type. 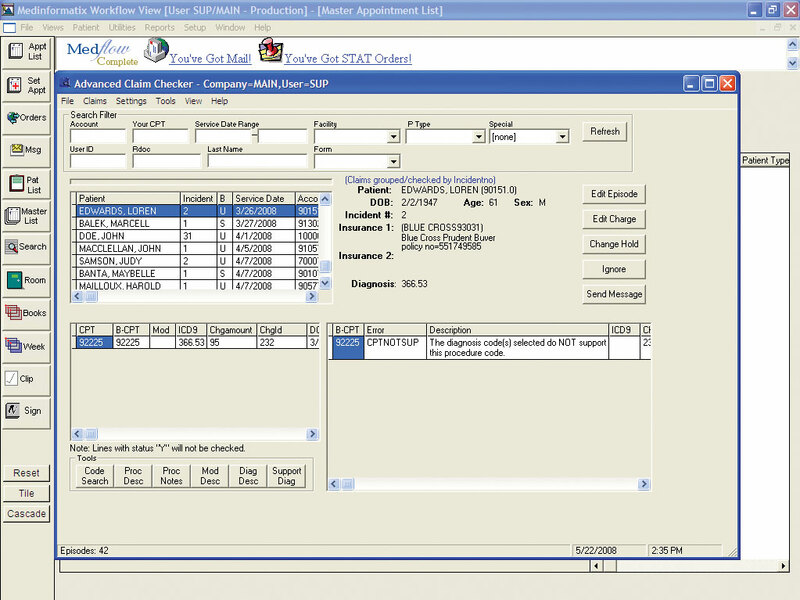 Recalls can require manual closure or setup to be handled automatically. Reason codes are also assigned recording why the recall was closed. 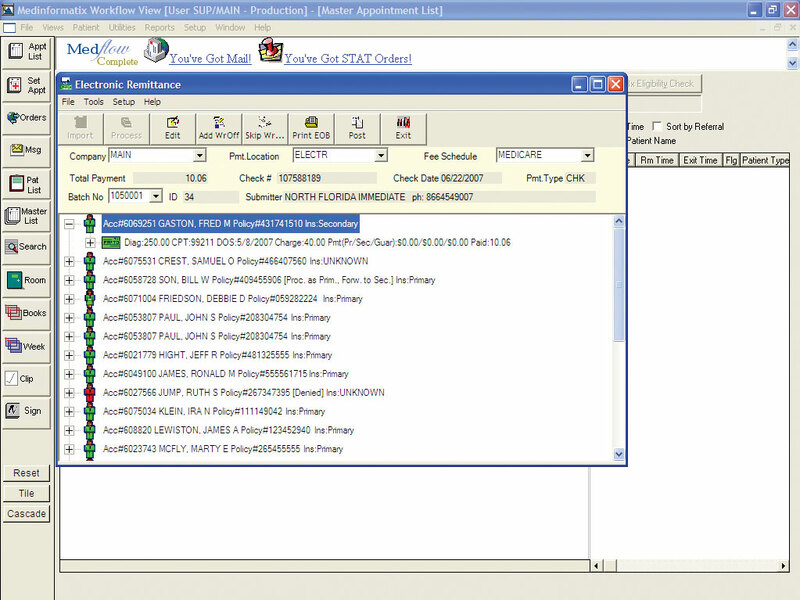 Allows for both tracked and untracked recalls. An example of a tracked recall is an abnormal test result. An example of an untracked recall is an annual exam. Recalls can be printed on a letter, postcard, labels, sent to our Telephonic Reminder System, or sent via our online patient portal. An initial letter, indicating there is a problem that needs to be addressed. A missed appointment letter (the recall system interfaces with the appointment scheduler). An overdue recall letter. This letter is generated by a user-defined number of days since the original letter was sent. 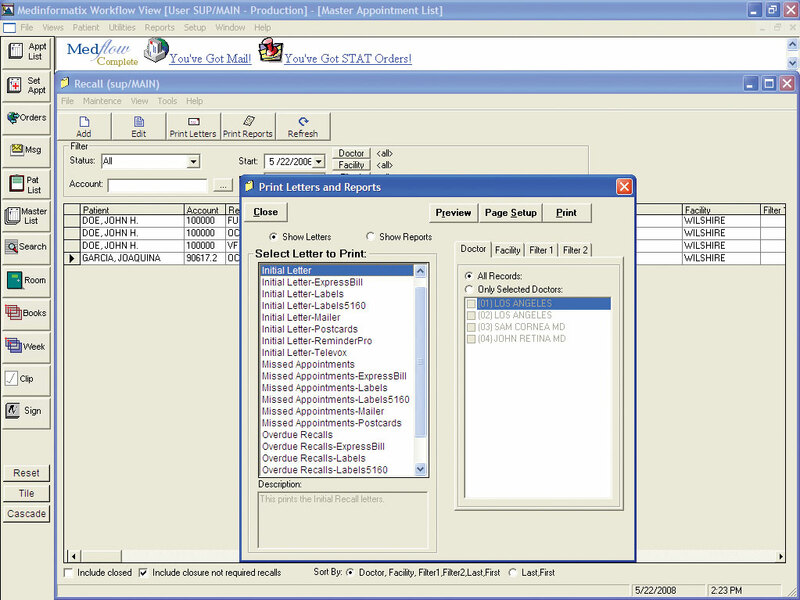 Extensive reporting system that analyzes all recalls. With ImageDoc, practices can scan and index insurance correspondence eliminating the need to store countless files and freeing up valuable space in your office. These can be scanned individually or in a “day pack”, organizing files just as you do today. 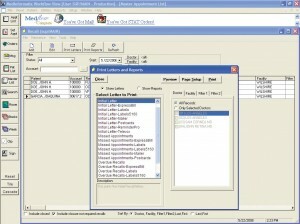 Staff can search, view, and print EOB’s, rejection notices, appeal correspondence, etc., right from their workstation.